California was the very first state to legalize the use of medical marijuana and it has some of the most relaxed laws on the matter. Originally, when legislation was approved for medical marijuana in 1996 through Prop 215, there was no limit on the amount a patient could possess. 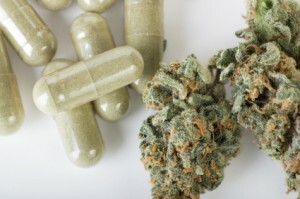 However, in 2003, the state passed a measure that restricts patients to 8 ounces of dried marijuana and 6 mature plants. You must be a Californian resident with a valid state ID, passport or other photo ID, along with a document that shows proof of residency (such as a CA utility bill statement). You must request and obtain your medical records that shows a diagnosis by a licensed physician of a qualifying condition. You must be at least 18 years old. If you are not 18 or older, you must be accompanied by a guardian. You must receive a medical recommendation for medical marijuana from a CA state-licensed physician stating that you stand to benefit from the use of medical cannabis. In CA, the Medical Marijuana Program was set up to provide an identification process for qualified patients. 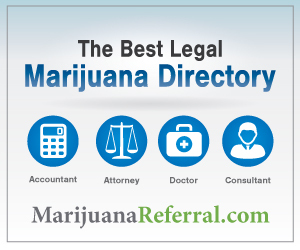 Through a registry, a patient is more easily verified by law enforcement for using medical marijuana. Along with the application, you must also submit identification, proof of residency, the written recommendation from your doctor, and an application fee. The fee is currently $66.00 per card for non Medi-Cal patients and $33.00 for Medi-Cal patients. However, each county adds administration fees that vary, so be sure to check with your local county. Renewing requires the same process as when you originally applied. If your medical documentation is still valid, you may use this for your renewal. Otherwise treat it like the first time you applied.